Instead of helping us become ‘one with the world,’; is drug taking actually contributing in some way to destroying our planet? Beyond its title being a rollicking triptych of double-e’s, Gary Potter’s thesis turned eco-cannabis handbook Weed, Need and Greed has presented something of a standout in the Volteface drug policy library since landing through the letterbox last month. A forerunner in the relatively nascent academic field of ‘Green criminology,’ Dr Gary Potter’s book comes at cannabis from a fresh angle: investigating the effects of drug laws both at home and abroad on the environment. With President Donald Trump shrugging aside the progressive collaborative potential of the Paris Climate Agreement and, in doing so, making clear his presidency’s preference for short term profits over a long term planet, things are looking more precarious than ever for the health of our mother ship Earth. In WN&G, Potter reveals something of a new hope for the environmental protection movement in the form of potentially co-opting efforts to reform drug policy laws as a viable means to work towards a cleaner, safer, more sustainable environment. Calum Armstrong: First of all, for those not abreast of the world of ‘green criminology’ – what are the most direct ways in which the ‘war on drugs’ is harming our environment? Gary Potter: Plant-based drugs – most notably, cannabis (from the cannabis plant), cocaine (from the coca bush) and opium/heroin (from the opium poppy), but also less-widely used drugs (like khat) – depend on cultivation of the parent plant. This is illegal, so needs to be done in places that are hard to detect and/or hard for the authorities to access to eradicate crops and arrest growers. This often means going into remote, wilderness places – e.g. the rainforests of Andean Latin America (for cocaine) or the remote valleys of Afghanistan (for opium) and disrupting the fragile ecosystems of these areas through deforestation, soil degradation etc. 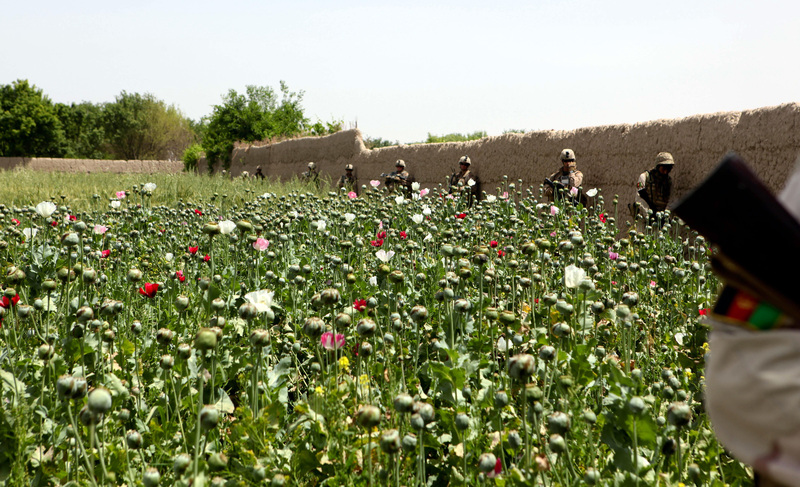 Chemicals used both in cultivation and in processing the crop (converting opium into heroin, or coca into cocaine) further damage the local ecosystems and also contribute to polluted waterways, which harms both nature and humans further downstream. Law enforcement efforts – especially aimed at drug crop eradication – exacerbate environmental harm in a number of ways. Targeting drug crops pushes growers further into wild places and encourages them to plant more crops in the first place. Chemical defoliants are indiscriminate – when used against drug crops they also destroy food crops and natural habitats and further pollute waterways. Burning of crops can produce air pollution and fires can spread. For cannabis, there are extra factors. 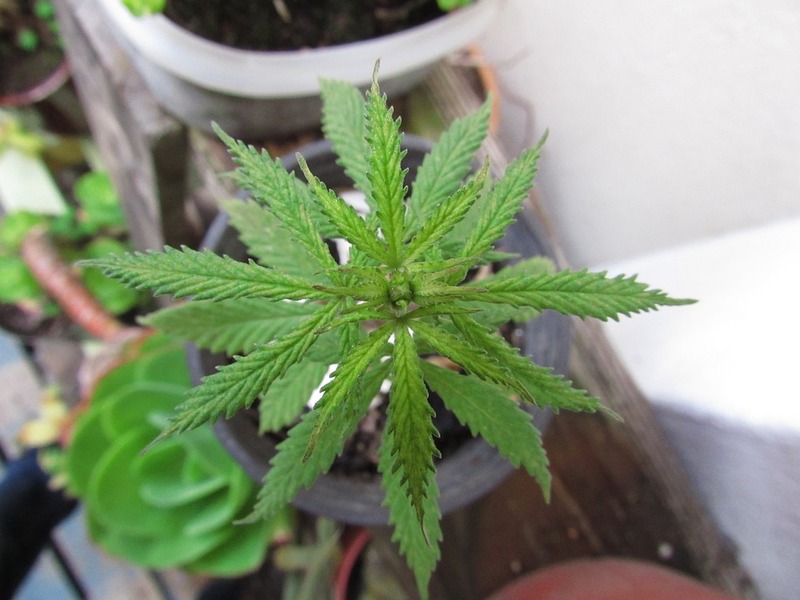 Although cannabis is commonly grown outdoors in certain regions with similar problems to those outlined above, but more widely spread as cannabis can be grown in a greater variety of climatic and agronomic conditions. Cannabis is also grown indoors, under high-intensity lights and utilising water pumps and airflow systems that consume a lot of energy and thus have a high carbon footprint. Indoor cultivation often occurs in urban areas, so there is greater proximity to humans in terms of exposure to pollutants – and there is a risk of fires starting in cannabis farms that both contribute to pollution and risk spreading to neighbouring properties. Further, with cannabis, we have a perverse situation where the plant can actually help clean up environmental damage – cannabis (or hemp) works well as a carbon sink and can help clean up contaminated soils, and can replace many hydrocarbons in a range of manufacturing industries. But although many countries (e.g., UK, EU) do allow for hemp cultivation this was restricted for a long time and remains restricted in, e.g., the US because the law that bans cannabis also bans hemp (it’s the same plant). Man-made drugs – amphetamine type substances (ATS; e.g., Crystal Meth) and ‘new’ or ‘novel’ psychoactive substances (NPS) – are also often manufactured in urban areas and involve a lot of dangerous chemicals risking pollution and associated health problems, as well as fires and explosions. With all of these factors, the illegal nature of drug production means that there are no regulations on those who cultivate/process/make drugs. With legal industries we can at least try to impose regulations and introduce systems that reduce pollution and protect against chemical spills or other industrial accidents – but criminal drug traffickers don’t really care about industry standards, expensive processes for cleaning up waste products, and so on. Oh, and transportation of any substances (or any other products) over great distances is also problematic in terms of CO2 production etc. What do you think about the current public messaging around protecting against climate change? What practical strategies, in your academic estimation, could help empower the general public to save the planet beyond merely having a recycling waste bin in their kitchen and/or spending 5p for a plastic bag at Tescos? What is ‘green criminology’ and how did that area wind up becoming your particular area of focus as an academic? Green criminology is the application of criminological ways of thought to environmental issues – recognising that environmental harm can be seen as a crime whether or not it is actually labelled as such by governments or legal systems. Environmental harms are carried out by offenders, facilitated by socio-economic structures, produce victims etc. Punishment of offenders and prevention of offences as well as structural and political changes are ways to combat this. Criminologists are pretty good at understanding these issues, we just need to apply what we have learnt in the context of (e.g.) street crimes and apply to environmental harm. I got into it myself through happy accident. I have always been interested in ecology/conservation/natural world, but didn’t study those things at A-level or uni. When I discovered green criminology it seemed like a good way to apply my hard-won graduate skills (!) to something that really interested me. And it turned out that there was a surprising amount of overlap between green criminology and my main area of criminological research (drugs have always been the main focus, GC is a bit of a side project): Drug markets overlap with illegal wildlife markets (both conceptually and, in some cases, actually). How can a UK citizen procure and consume illegal substances in the least environmentally damaging manner possible? Grow your own! But do it outdoors (or in a greenhouse) rather than using high-power indoor lights. Apply the same principles as you would to buying food – reduce food miles, go organic, look for fair-trade – that’s not specifically an environmental thing – although environmental and social justice often overlap). Of course, that only really applies to cannabis – and maybe to mushrooms – for cocaine, heroin you’re dependant on an import trade that is almost certainly damaging both the environment and society in the source country and globally (however nice your local drug dealer is…). 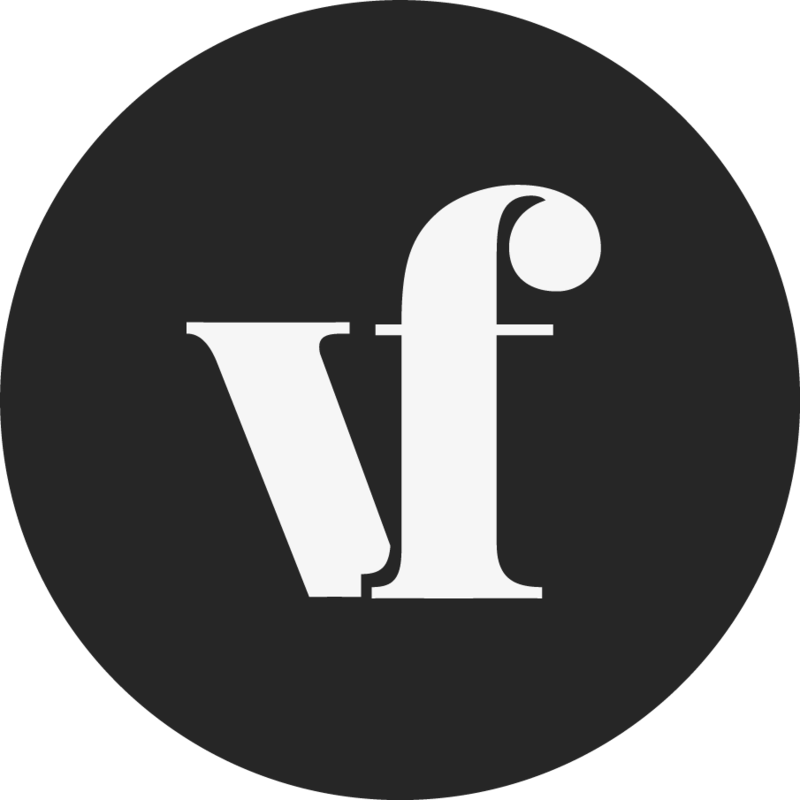 Theoretically it might be possible to insist on locally manufactured chemicals if you’re into those things, but practically you can’t be sure where they’re coming from – no soil-association or fair-trade stamps on drugs. What could the next UK government do to help protect against climate change via drug policy reform measures? Legalisation would allow for domestic cultivation (at least of cannabis, but possibly for cocaine and heroin as well – we have the horticultural expertise to grow those plants here in the UK) and domestic production of chemical drugs. That reduces environmental damage associated with production in far-flung places, and with transportation. Legalisation would also allow for regulation of whoever was licensed to grow/manufacture drugs – which would enable limits to and monitoring of the use and disposal of chemicals, equipment etc which would reduce the potential environmental harms of these. Legal cannabis could be grown outside instead of indoors. Finally, you have recently published a book – Weed, Need and Greed – tell me a little more about why you wrote this book and what you hope it will achieve in future. 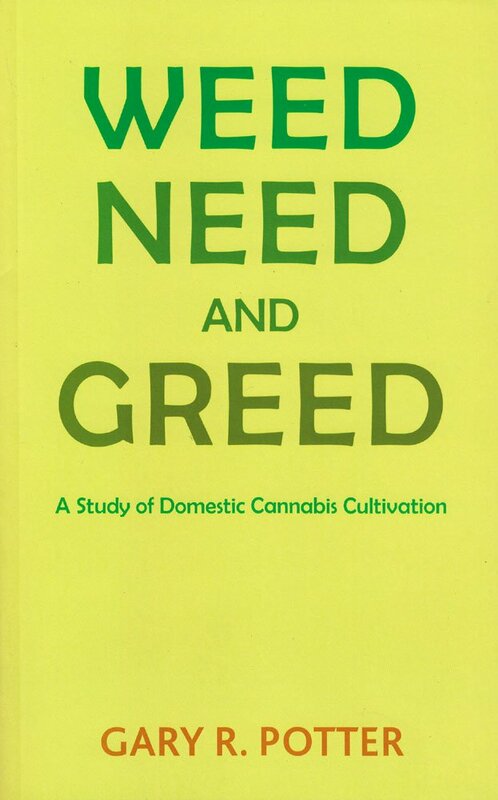 Weed, Need and Greed was originally my PhD thesis, later re-worked as a book. The main point was to recognise that cannabis consumed in the UK is largely grown here now rather than imported. There are three main (overlapping) groups of people involved in cannabis growing. ‘Weed’ represents those in it purely for ideological reasons (they love the plant, the drug, and the culture that traditionally goes with cannabis) who might make some money because they can, but are not primarily growing for that reason. ‘Need’ represents those who grow out of necessity – this includes those who need money for some reason, but primarily refers to medical growers (who use the drug for self-medication, or supply loved ones). ‘Greed’ represents those who are into cannabis cultivation to make money – they may have started off as ‘weed’ growers, or may have already been involved in drug dealing or other crime and got into cannabis cultivation when they saw the profit potential. There are much more weed growers than greed growers, but the greed growers produce a lot more cannabis. Greed growers are more akin to traditional drug dealers and include organised crime outfits; weed growers tend to be independent and no more involved in other crimes than the general public are (although some other ‘ideological’ crimes may also be in their repertoires). As to what it will achieve, the hope would be that the general stigma and specific criminalisation (or, at least, imprisonment) of those involved in weed or need type growing might be removed – weed growers are generally not particularly criminal and criminalising them is counterproductive; need growers deserve sympathy and care rather than punishment. Interview answers have been partially edited for clarity.